Diaper Need Awareness Week is a signature initiative of the National Diaper Bank Network. 1 in 3 U.S. families struggles to provide enough diapers for their baby. 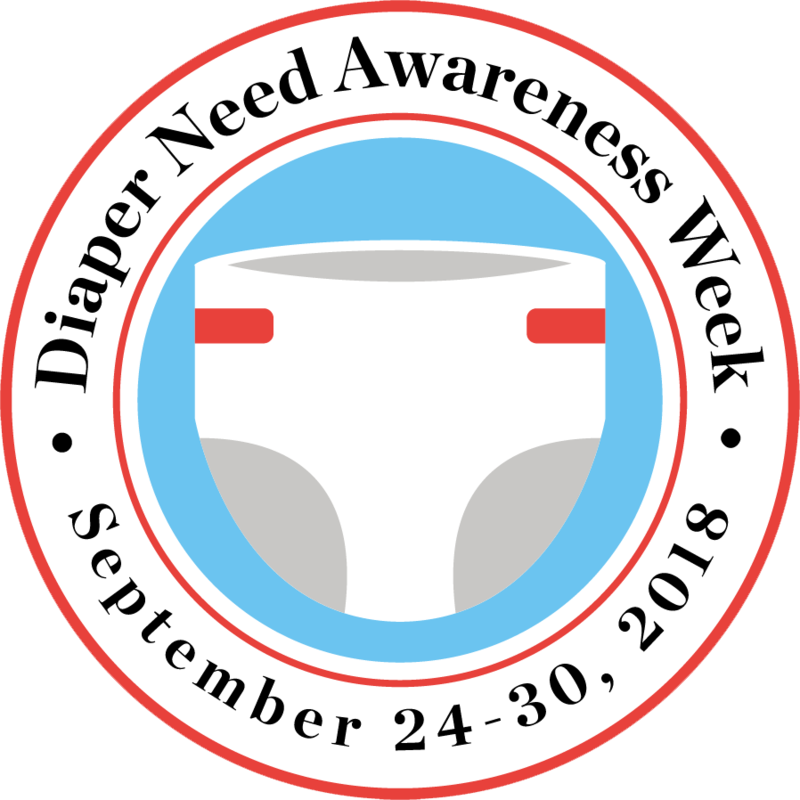 Proclamations, diaper drives and activities slated for Diaper Need Awareness Week. 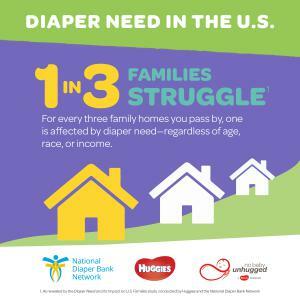 NEW HAVEN, CONNECTICUT, UNITED STATES, September 24, 2018 /EINPresswire.com/ -- Today, marks the beginning of Diaper Need Awareness Week (Sept. 24 – 30, 2018), and communities across the country are taking steps to help the one in three U.S. families that struggles to provide enough diapers for their baby. An often hidden consequence of poverty, diaper need impacts the physical, mental, and economic well-being of children and families. Led by the National Diaper Bank Network, more than 200 local diaper bank programs are working with individuals, community organizations, and elected officials to help get clean diapers to babies who need them. In fact, state and local officials from Maine to Texas, and North Carolina to California have issued proclamations recognizing Diaper Need Awareness Week, as well as the vital work of diaper bank programs in supporting children and families. Also throughout the week, many diaper bank programs are involved in community-wide diaper drives and fundraising campaigns that will help sustain their respective diaper distribution efforts throughout the year. Government programs designed to help children do not provide funding for diapers, a basic necessity for all babies. There are currently 5.2 million infants and toddlers living in low-wage families, many of who face a daily struggle to secure a necessary supply of diapers. According to the Center for Economic and Policy Research, the poorest 20 percent of Americans who buy diapers spend nearly 14 percent of their post-tax income on diapers. Seventy-three percent of all families feel they’re not being good parents when their children are left too long in dirty diapers, while one-in-three households in need experience feeling stressed or overwhelmed by diapering always or often (source: Diaper Need and Its Impact on U.S. Families, 2017). As the founding sponsor of the National Diaper Bank Network, Huggies has provided ongoing support for the organization and has donated more than 200 million diapers and baby wipes, including critical donations during times of crisis. The National Diaper Bank Network (NDBN) is a nationwide nonprofit dedicated to eliminating diaper need in America, by leading a national movement to help meet the basic needs of all babies and their families...including access to clean, dry diapers and other material goods. Founded in 2011 with the support of Huggies®, the network raises national awareness of diaper need (#DiaperNeed) and supports the development and expansion of diaper banks in communities throughout the country. Its active membership includes more than 200 diaper banks, diaper pantries, and food banks located in 48 U.S. states and the District of Columbia. 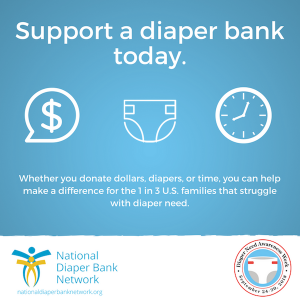 More information on NDBN and diaper need is available at www.nationaldiaperbanknetwork.org, and on Twitter (@DiaperNetwork) and Facebook (facebook.com/NationalDiaperBankNetwork). According to a 2017 study by Huggies and the National Diaper Bank Network, Diaper Need and Its Impact on U.S. Families, one-in-three U.S. families (36 percent) are in diaper need.